I am always impressed by the photographers who traverse Minnesota's north shore of Lake Superior. 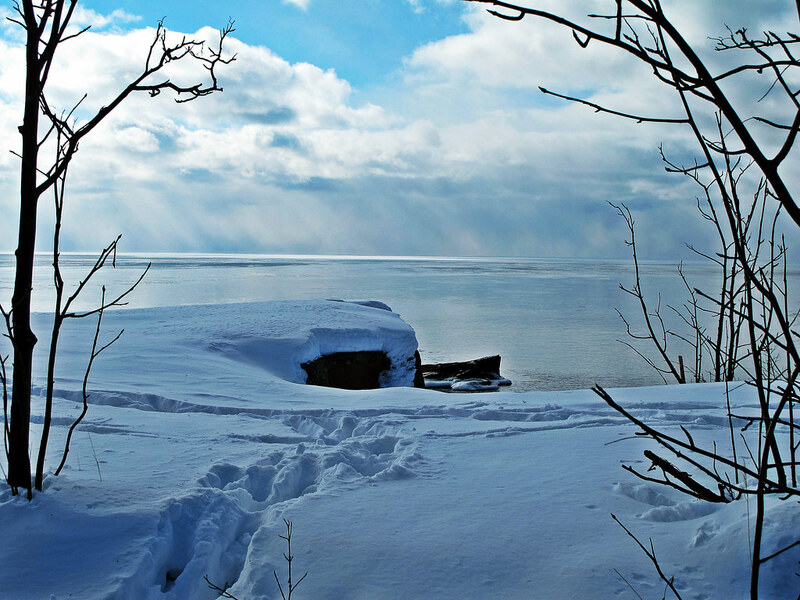 During the winter months, its beauty is rugged, cold and sometimes downright mean with stiff winds blowing off the expansive lake but this photo depicts a calm winter day with a picture perfect partly cloudy sky and a smooth blanket of fresh-looking snow nicely framed by two smaller trees. The horizon, though, is what seals the deal for me. I took this photo originally and this person used flickr to steal it. I'd appreciate if you took it down. This photo belongs to Carl Pearson, and you need to cite it. Based on the EXIF data from where this photo was submitted to my Flickr pool I will agree that its data (and therefore its source) is suspect but given the fact that the URL cited by the first commenter leads to a 404 error I have no proof of ownership to base my decision on. I suggest that the folks involved in this dispute sort things out amongst themselves and once a solution is reached on your part I will gladly remove the photo if that is the agreed upon course of action.